Fitness refers to sound state of body that shows the ability to perform some physical activity. A person should possess an ability to meet the physical demand with enough stored energy to rise to an unexpected challenge. A person is also said to fit if he withstands stress. It is not easy to achieve fitness by doing nothing. If someone is obese and wants to slim, he has to work on it. We will here throw light on different exercises that help you to burn your calories and keep you fit. Before haveing a look at these guidelines necessary for the achievement of fitness. These exercises enable our muscles to work as a whole and increase the basal metabolic rate. By performing aerobic exercises one can feel a viable difference in his weight. 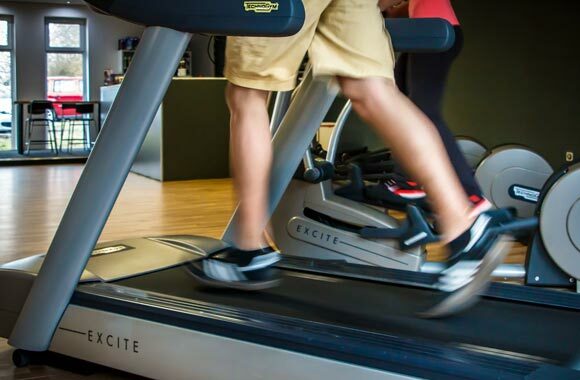 Aerobic exercise, if done by a person for a time duration of about twenty minutes or more, having no heart disease, can lead to maximum caloric burning. They make use of oxygen to meet the energy requirement during exercise. Running helps you to become fit at heart as well as losing weight since continuous running for a period of about an hour can lose more than 500 calories easily. Walking briskly may also help here in losing considerable calories. Cardiovascular fitness is achieved by running for 3 minutes and then walking briskly for 1 minute. Cycling is also simplest and easy exercise that anyone can do. There are chances of burning off around 700 calories if you take around for an hour on your cycle. The weight training exercises provide successful weight loss over the long-standing period via raising the resting metabolic rate. It is the rate which determines the use of body calories while at rest. It is found out that muscle tissues are more metabolically active than the tissues of fat. In other words, it necessitates more calories to maintain it. Therefore, we can say that having strong and more muscle bulk; you will enjoy higher basal metabolic rate. Therefore, exercise such as strength training enables you to build more muscle mass and loss significant weight simultaneously. Why are exercises needed for Burning Fats? Since our body is not so much capable of providing muscles as well as a heart enough amount of oxygen, so oxygen is provided by anaerobic sources present in our muscles. But when a person exercises for longer duration say about 20-30 minutes all the stored glycogen is used up and the body relies on the stored fats. The fats come into action to compensate this glycogen loss. In this way, now body utilizes stored fats which work like fuel to the muscles. Ultimately, regular exercise leads to burning of fats via metabolism and with the result, significant weight loss is achieved.